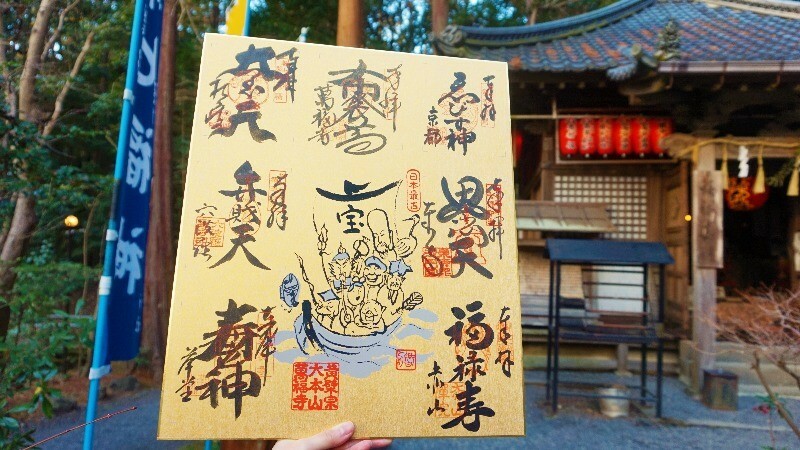 Now, in the last article, I introduced what the “Seven Gods of Fortune Pilgrimage ” was, how to go do it, and how many temples and shrines I visited! 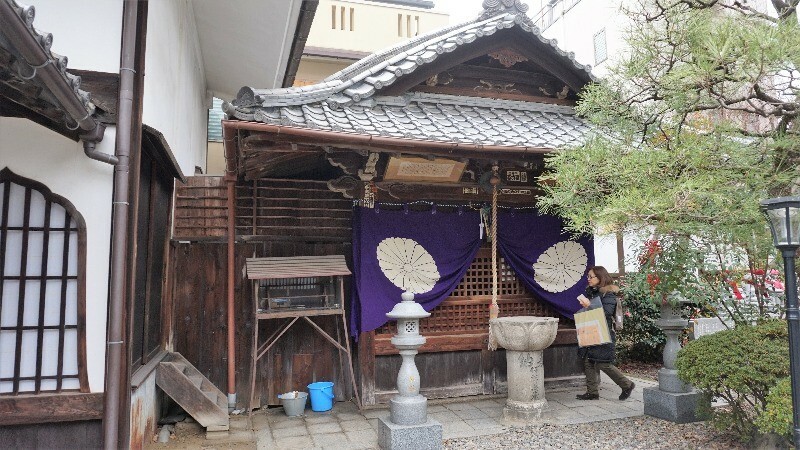 In this article along with introducing the rest of the temples and shrines that I visited, I will write about what I felt after visiting them! Visit time: 8：30 a.m. to 5:00p.m. 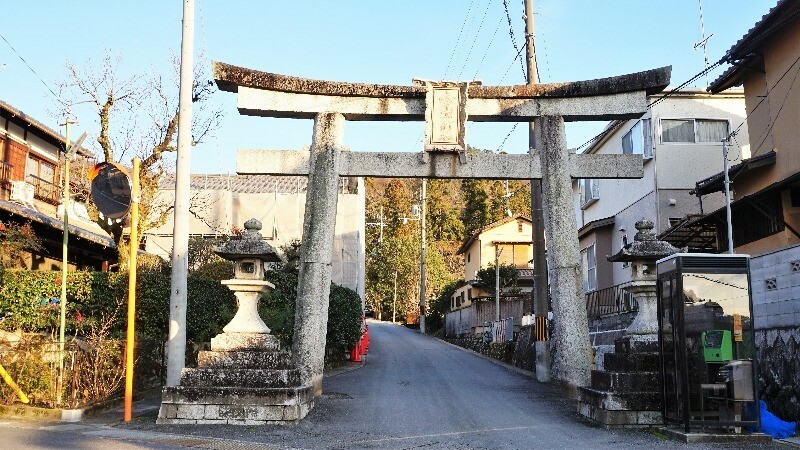 The point for the fourth shrine and temple is the Ebisu Shrine, located just from the 3rd point, Rokkuharamitsu-ji. 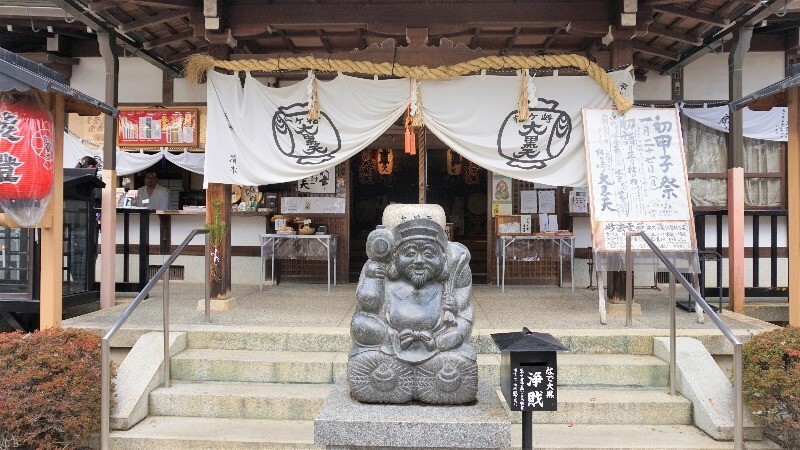 As its name implies, the shrine is home to Ebisu, the god of successful trade, business, fishing, and harvests. After visiting the main shrine, I got a goshuin stamp at the reception counter next to it! Maybe because it showed “Ebisu” written in the hiragana script, I got a bit of a soft, kind impression from it. 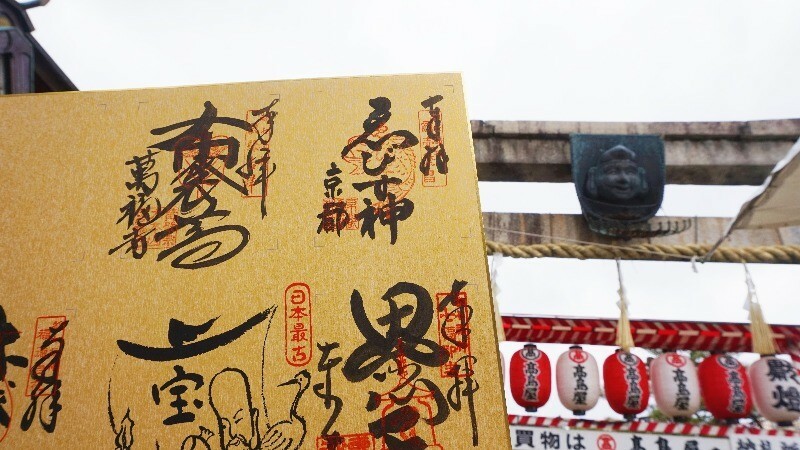 What is more, looking closely, I saw that Ebisu himself was featured on the Torii gate! I took the opportunity to get a souvenir photo with him. Visit time: 8:00 a.m. to 4:30 p.m.
Once I got off the bus, I arrived at the 5th point, Gyogan-ji. I was finally in the second half of the Seven Gods of Fortune Pilgrimage! I was starting to feel hungry, but the main temple hall was so beautiful that I forgot all about it taking pictures (haha). 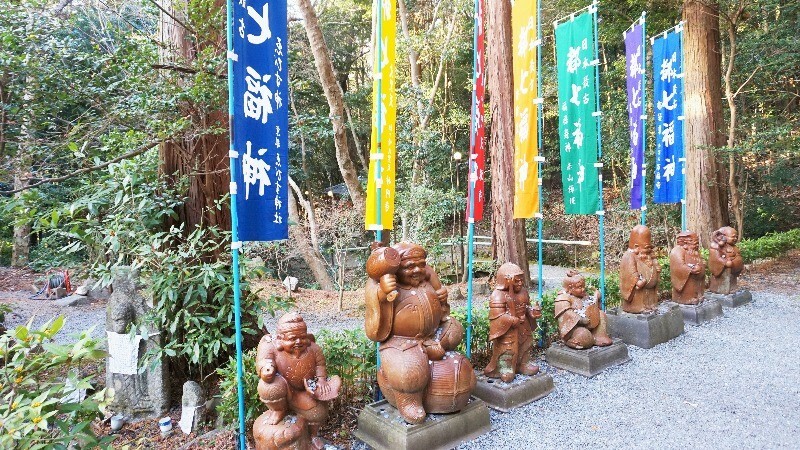 Gyogan-ji is home to a god called Jurojin, who brings benefits for health, longevity and happiness! After visiting the main hall, I went to the goshuin stamp at the reception counter next to it. There, I was told that, “Jurojin is in the hall to the left of the main hall, where the curtains come down.” I peeked inside from between the curtains, and saw that Jurojin was in fact there! I made sure to pray for good health. Here, at Gyogan-ji, I received 5 goshuin stamps!! I was glad to see that my paperboard was gradually getting filled with red! The strong brush strokes of the “Jurojin” stamp that I got here on the bottom left make it particularly wonderful, don’t you think? Having visited five temples and shrines, I took a look at my watch and saw that I t was exactly 1:00 p.m. Since I was really getting hungry, I thought about getting lunch, which I ate at the “Shinshindo Teremachi Store,” located just a short walk away from Gyogan-ji and famous for its delicious bread! Now that my stomach was filled, it was time to resume my Seven Gods of Fortune Pilgrimage! After visiting the main hall, I got a goshuin stamp at the reception counter! Now, only one stop left! I was ready to do my best for this last spurt! Visit time: 9:00 a.m. to 4:30 p.m.
By this point, it was a little after 3:00 p.m. Even though the sun was dipping lower in the sky and it was getting colder, it was finally my last stop, and I was quite excited to see what kind of goshuin stamp I would get (haha). The last stop was Sekizanzenin, the home of Fukurokuju, who helps with longevity, health and preventing disasters. 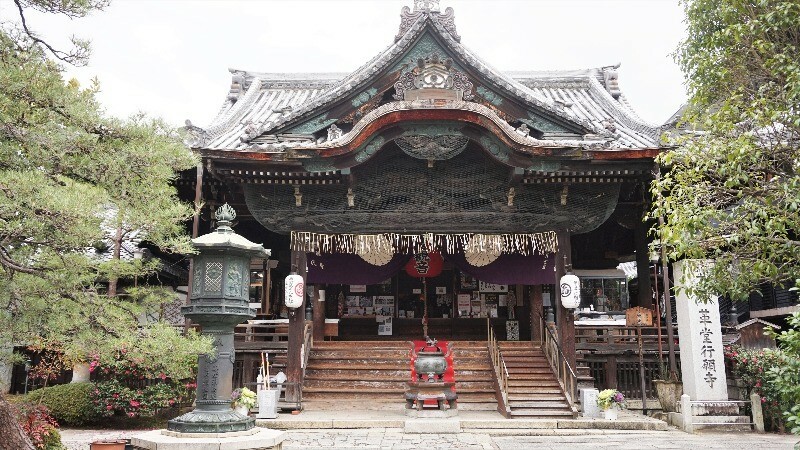 While there are many halls in the premises of Sekizanzenin, the hall in which Fukurokuju is enshrined is located next to the one in which all of the Seven Gods of Fortune are lined up together. It is quite easy to understand, since all of the Seven Gods of Fortune are there! Here, I prayed for health, and for the coming year to be a good one! 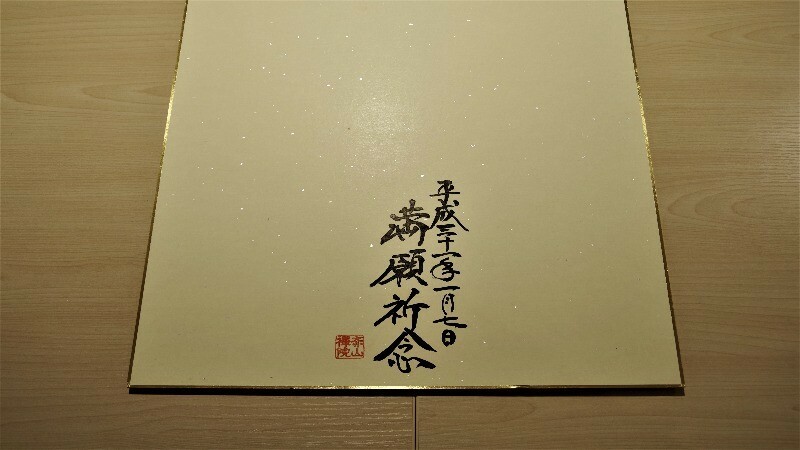 When receiving my goshuin stamp, I was told by one of the temple’s workers, “congratulations on completing your pilgrimage.” I felt very happy that I had worked hard! I was so filled with happiness to have completed the tour and properly received all of the goshuin stamps! I think that this feeling of achievement is something that you cannot understand unless you actually try. I felt that I was able to get a good start for this year! I will do my best this year too! I left Kyoto station at 8:30 in the morning and finished touring all of the temples and shrines around 4:00 p.m. This means that, if plan to use public transportation, such as trains and buses, and including a break for lunch, it will probably take you around 8 hours. By the way, I stayed at each shrine or temple for between 15 and 20 minutes. I just used trains and buses, and it cost me a total of ¥1,230. One important point is to buy one of the ¥600 day tickets sold at Kyoto station before starting the Seven Gods of Fortune Pilgrimage. Since these tickets allow you to ride buses for an unlimited amount all day, they allow you to reduce your transportation expenses. 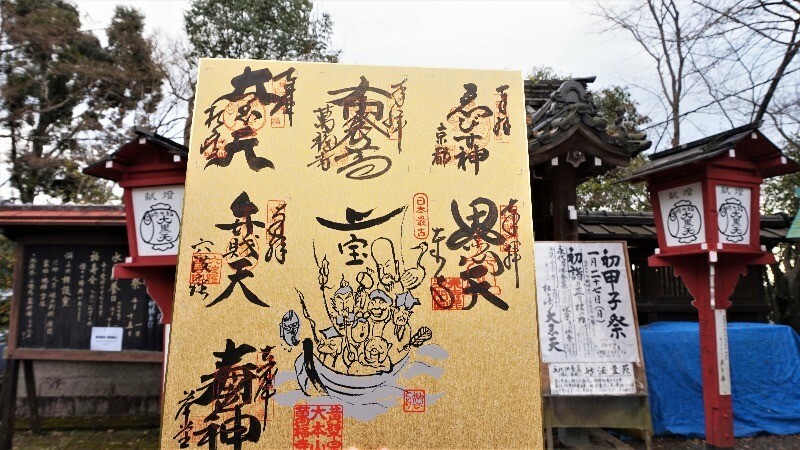 The paperboard for the Seven Gods of Fortune Pilgrimage is ¥2,000, with each goshuin stamp costing ¥300 on top of that. In addition, the only point with an admission fee is Manpuku-ji, which costs ¥500 to enter (price for 1 adult). So, in total, it cost ¥4,300. By the way, in addition to the above, you need a monetary offering when you worship. (I hope that you might understand that your offerings will be given to the gods and the buddha.) These offerings do not have to be of a high monetary value. In Japan, ¥5 coins and ¥50 coins are generally seen as bringing good luck. That said, if you are somewhere with a god that you particularly like, you may want to offer a little bit more. An important point when it comes to money is to prepare a lot of ¥5, ¥50 and ¥100 coins. ¥5 and ¥50 coins should be used for offerings, while ¥100 coins can be used to get the goshuin stamps. 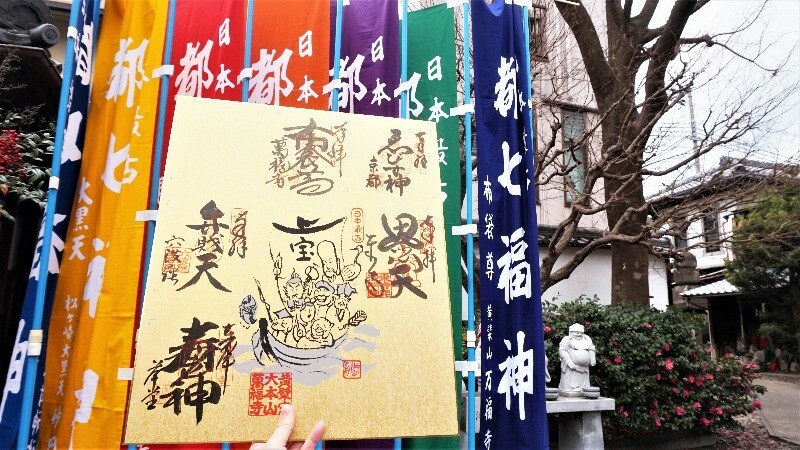 It is best to avoid using high value bills, such as ¥10,000 bills or ¥5,000 bills at a shrine or temple. 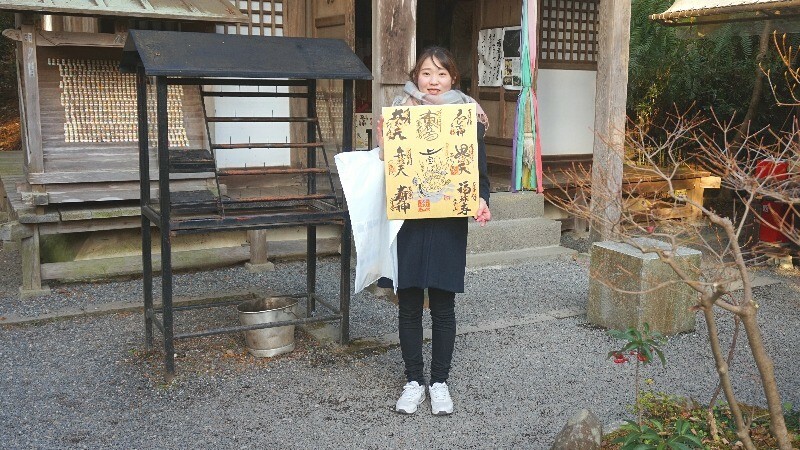 When traveling around various temples and shrines in the cold of January, I recommend wearing clothes that are both warm and make it easy to move around. Protective clothing such as a scarf, gloves and a hat are all good. When it comes to shoes, since you will have to go up and down many flights of stairs in the temples and shrines, shoes that are easy to wear and walk in are best. As for bags, a shoulder bag or backpack just large enough to accommodate your personal belongings is fine. My personal recommendation is a shoulder bag. You will need to bring out your wallet a number of times when worshipping, so a bag from which you can easily withdraw your wallet is better. Since you will be walking a considerable distance, you should try to make your bags as light as possible in order to reduce the burden on your body. Since you will rinse your hands and mouth at the shines and temples’ “chozuya” (water basin), I use it to wipe myself off afterwards. Gently wiping the goshuin stamps with a tissue is useful to avoid blotting when their ink doesn’t dry quickly. In addition to winter in Kyoto being extremely cold, you will be washing your hands in cold water, so your hands are likely to get very cold. Hand warmers will allow you to keep your hands warm, so they are very convenient to have. If you have hand warmers that you can stick to your clothes, feel free to use those too. So, how about it? 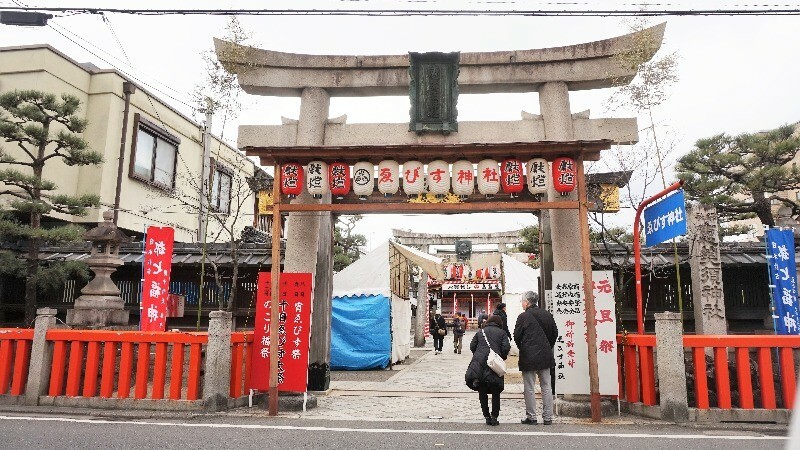 This time, I visited all of the shrines and temples in one day, but the “Seven Gods of Fortune Pilgrimage” is not something that you absolutely have to do within the “Matsu no Uchi” period from January 1st to January 15th. It is also not something that you have to finish in one day. Why not enjoy yourself at some of the sightseeing spots in the vicinity, make a detour to a trendy café, or just have fun walking around the city? Although doing the Seven Gods of Fortune Pilgrimage and visiting 7 shrines and temples in one day was quite difficult, it was a lot of fun! I felt a sense of accomplishment once I was done, and I got an optimistic feeling, like this year is going to be a good one! The tour is taking place until January 31st (Thursday), so please give it a try!